Jameson, Fredric, The Geopolitical Aesthetic: Cinema and Space in the World System , Bloomington, Indiana, 1992. Browne, Nick, Paul G. Pickowicz, Vivian Sobchack, and Esther Yau, editors, New Chinese Cinemas: Forms, Identities, Politics , Boston, 1994. Nornes, Markus, " The Terrorizer ," in Film Quarterly (Berkeley), Spring 1989. Like members of the European New Wave of the 1960s, Yang has a love/hate relationship with American culture, using it for complex intertextual textures (for example, the use of Elvis Presley as a musical and visual presence in A Brighter Summer Day ), and aesthetically working against Hollywood through the use of "dead," "negative" space in which "nothing happens" in empty urban landscapes and aggressively long takes. However, despite these similarities, Yang is also a decidedly Taiwanese director, with a commitment to documenting the peculiarities of contemporary Taiwan and situating its society within a global economy and culture. In this respect, Yang's cinema operates as a bridge between Taiwan and the rest of the world. Because of the director's commitment to formal experimentation and interest in finding a niche within a global film culture of festivals and art cinemas, many of his films have done poorly domestically, although they have been lauded internationally. Ironically, as he brings a critical eye to contemporary Taiwan for audiences abroad, that sharp vision has often gone unappreciated at home. Yang's attempt to visualize alienation succeeds all too well and tends to alienate the uninitiated viewer, while winning the praise of intellectuals educated to appreciate a modernist sensibility. Although Yang now has his own production company, several of his earlier, more challenging films were financed by the government-operated Central Motion Picture Corporation, allowing for a freedom of experimentation without the pressing demands of the domestic marketplace. In his work on The Terrorizer , Fredric Jameson sees the film as combining a modernist and postmodernist sensibility to explore the interpenetration of traditional, national, multinational, and transnational spaces, and thus the hybrid identity that marks contemporary Taipei. It is debatable whether this film marks a significant break with Yang's earlier, "modernist" work or not. However, it is useful to look at Yang's more recent A Brighter Summer Day and A Confucian Confusion as moving in a different direction from the director's work in the 1980s. Keeping Yang's characteristically complex and convoluted narrative structure, the former explores youth gangs in postwar Taiwan and the later looks at contemporary "yuppies" in modern Taipei. Unlike his earlier efforts, A Confucian Confusion is a comedy (albeit a very dark one). 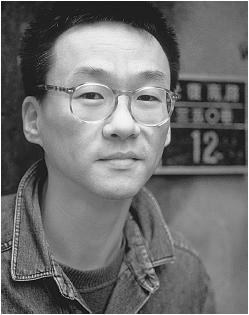 Despite the move away from the serious, woman-centered dramas of the 1980s, however, Yang maintains his commitment to examining carefully Taiwan's experience of modernity, taking Taipei from the margins of the globe and putting it within an international framework that makes local issues poignant for a world audience.